Your child's smile can last forever, and we want to make it as easy as possible to receive the best dental care whenever needed. Our practice accepts cash, checks, Visa, Mastercard and insurance plans. Conveniently, you can also make secure payments through your Patient Portal. CareCredit and beWell are services that have varying financing options and can make available no-interest financing, depending on your situation and preferences. Accepting an insurance plan is not the same as being in-network. We accept other insurances, meaning that you will not have to pay for the visit in full at the time of the appointment, only the portion you are responsible for if you allow "assignment of benefits." This means that we will process your insurance claim and the insurance company pays us directly. If they do not pay in full, the remainder is your responsibility. Our Patient Finance Team is always available to help you with insurance claims and paperwork. We'll work with your insurance provider to make sure that your coverage meets your family's needs and budget. Deductibles often need to be met before your insurance will start covering procedures. Once that is done and depending on your plan, they will decide how much and if/when to reimburse. When insurance companies say that a procedure is covered at 100%, they typically mean 100% of what they decide the fee should be, not necessarily our fee. You are responsible for any uncovered portions. We will share with you what we are told when we verify benefits. Please realize that insurance companies will decide what to do about the claim once they receive it - regardless of what was told to us or you. If you have questions, please call and ask to speak with Gloria, our Patient Finance Coordinator. Further details are found in our Financial Policy. You will find it in our New Patient paperwork. After you review it, please let us know if you have any questions. 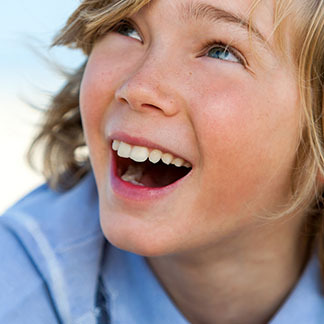 We are eager to hear how we can help to make your and your child's entire dental experience a pleasant one.